My collection of Motorola hand-held transceivers is complete with the Motorola XPR 7550 VHF hand-held transceiver, shown below. 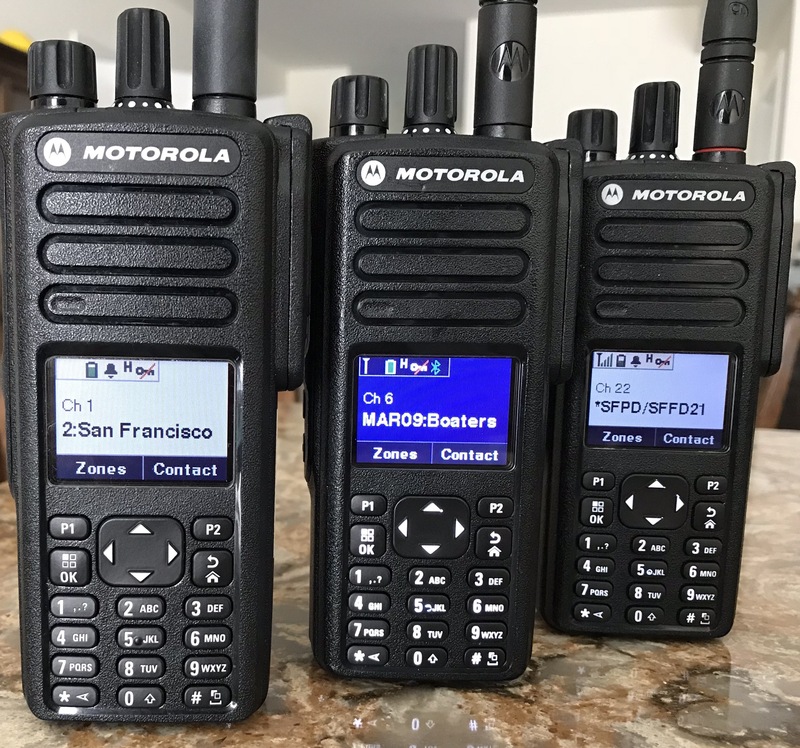 The Motorola XPR 7550 VHF transceiver will take the place of my Motorola Radius CP200, as shown in the picture, below. I will either sell or use it as a back-up for VHF communications. The “e” version claims it has an 8% receive signal range — I never had any problems with receive signal range with the non “e” version; and, all my signal tests I’ve done with the non “e” version passed with flying colors. As I mentioned in my past BLOGs, I don’t use VHF all that much; so, I didn’t need to spend the extra hundred bucks or so to get the “e” version — the non “e” version for my VHF operations has more than enough RF features for my VHF use. 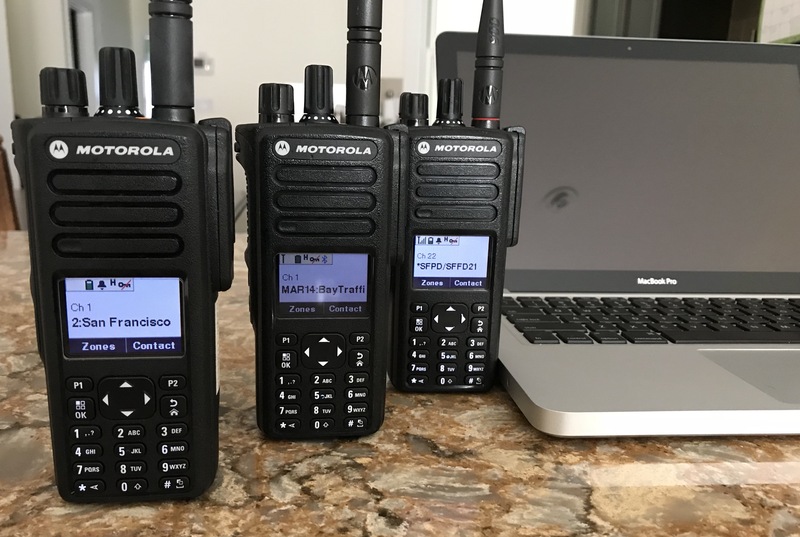 The only time I would purchase another Motorola hand-held transceiver is, if by chance, they create a dual band, UHF/VHF, DMR hand-held transceiver…yeah, yeah, yeah…I know the Motorola APX 8000xe, shown above, has UHF, VHF, and 700-800 MHz bands with P25. Well, that’s just swell and dandy, but it is not the transceiver I want. 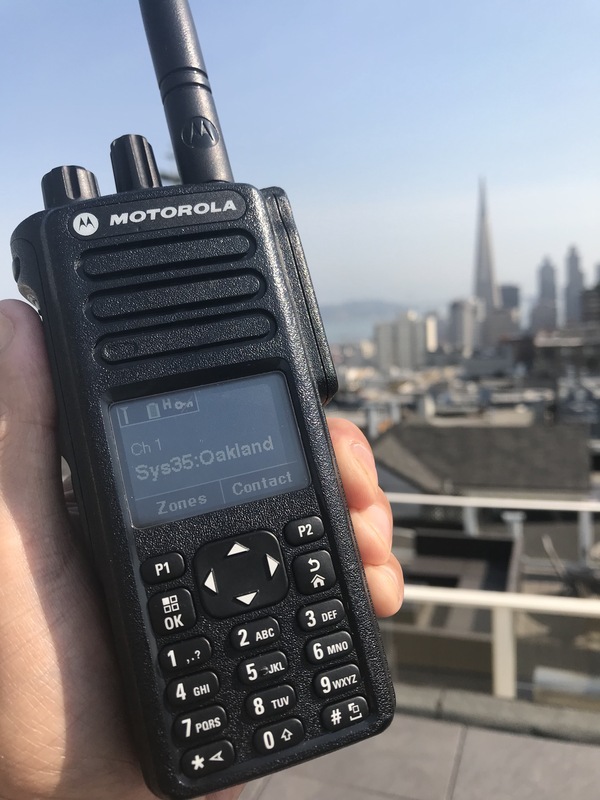 I don’t mind dropping ~$8000 on the APX 8000xe, as long as it would make me happy by satisfying my emergency comm and social comm operations; it does all the stuff I want; but, it doesn’t have DMR — it has P25; and, I don’t use P25; I use DMR. I would use P25 if it was more available in the San Francisco Bay Area, but P25 is rare and seldom used except by law enforcement, fire personnel, and EMS. For my use, DMR is the digital platform that suits me best within and outside of the United States. Also, at least for now, I’m an extreme XPR user and XPR code-plug specialist. 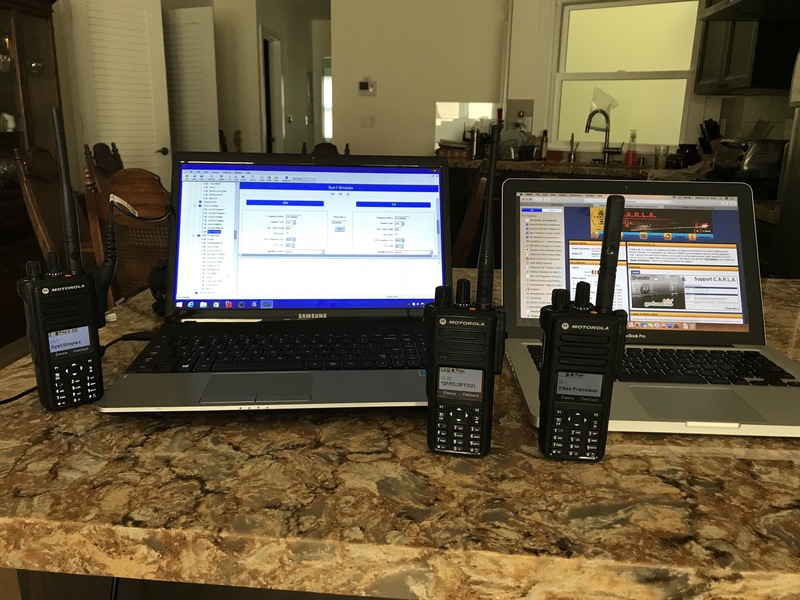 I know the ins and outs of the XPR series; and, it has more features for me than I could ever use or want in an emergency and social comm transceiver. 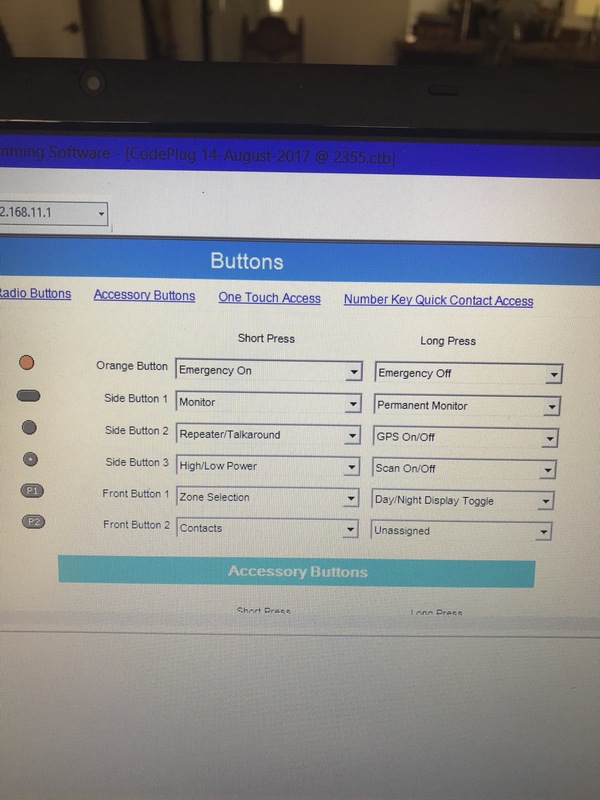 In this case, know the RX and TX band and platform you enjoy using the most and that is most available to you in your area, then purchase the transceiver that satisfies those needs. Give me the CP200 plz, I always wanted one. Hi, Samuel. What transceiver do you use? What frequencies do you use? Hi, Samuel. What transceiver do you use? What frequencies do you use? Do you have a HAM license? What part of the world do you reside?